I’m not sure when the Graflex back was introduced, it was certainly in use by 1920 but the Graflex SLRs were introduced in 1902 so it may date back to then. 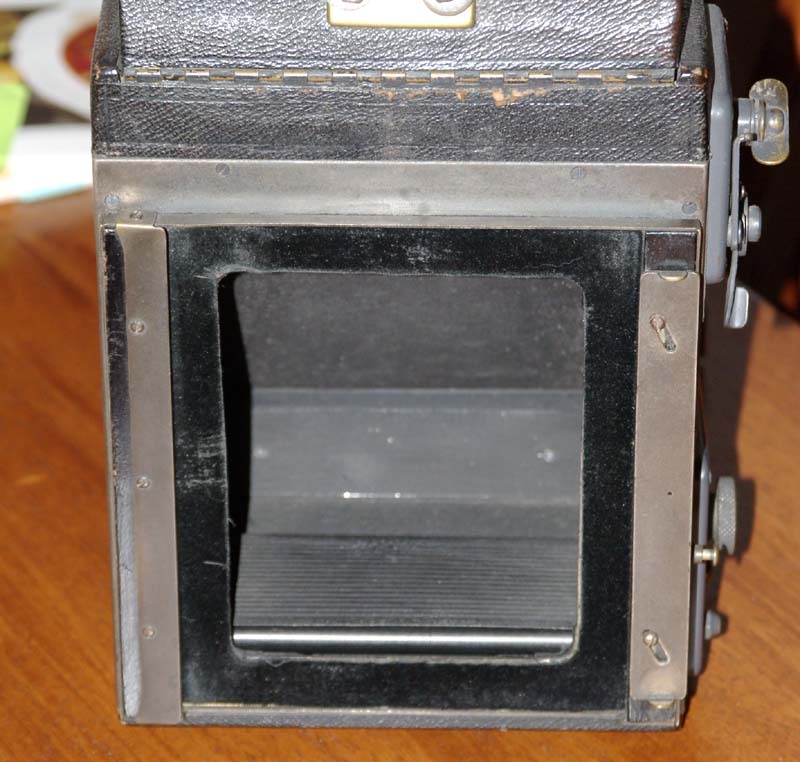 All of the film holders and accessories are held in place by one fixed and one sliding bar. 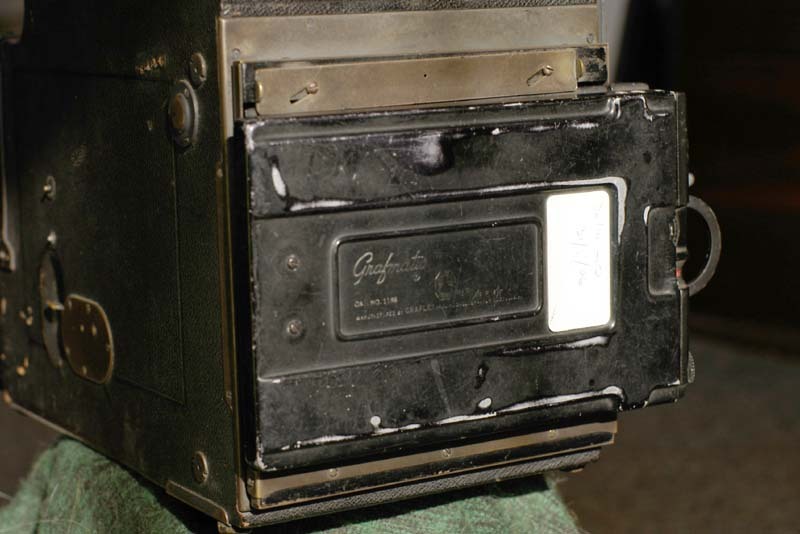 The bars clip into grooves in the sides of the film holders or in some cases clip over the edges in a similar manner to the way lens-boards are held. 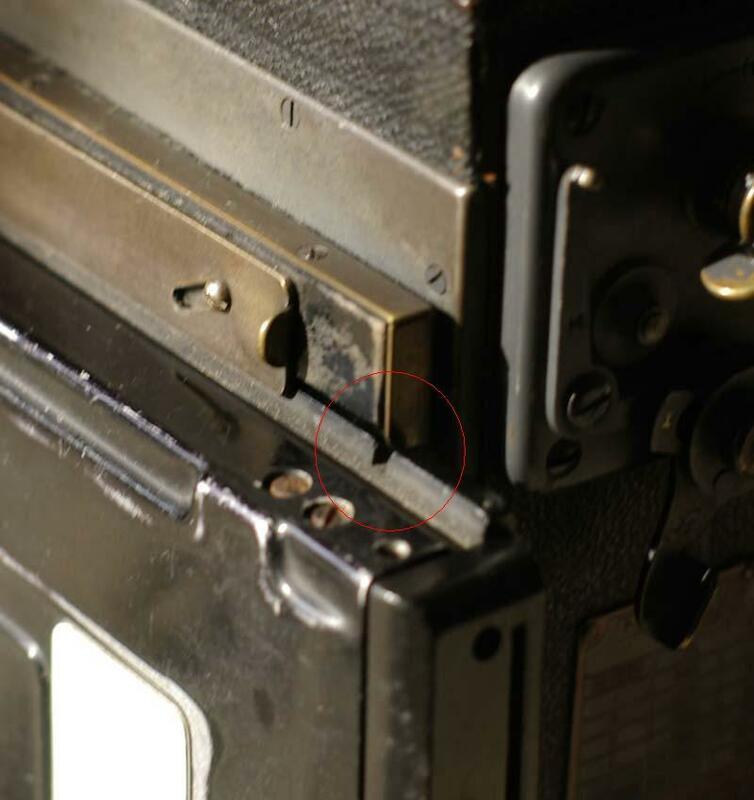 There are also two metal ridges that keep the film holders properly located. One of these sits against the end of the holder while the other one sits in the slot running across the holder near the drak slide and thus forming a light trap. Here you can see the fixed bar at the left and the sliding bar at the right. This shows the metal ridge that forms the light trap. It is shallower than the corresponding ridge at the other end. 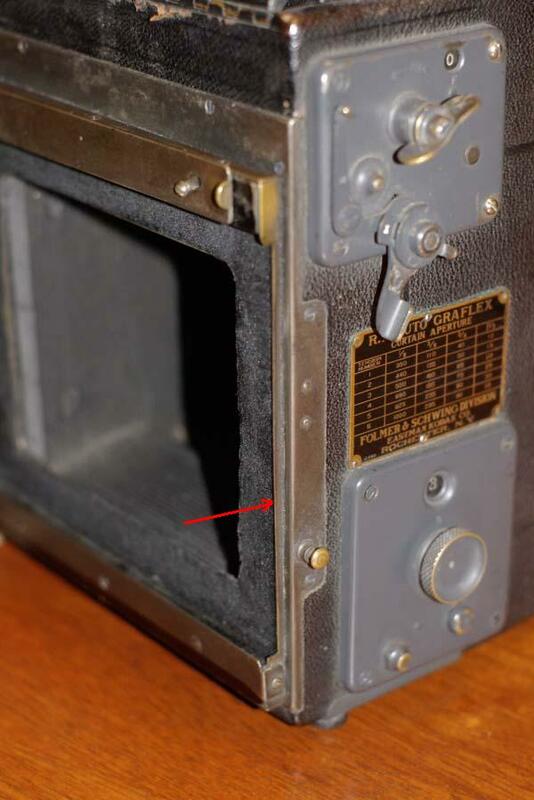 In addition to the normal reflex focussing panel on the top of the Graflex SLRs there was also a rear focussing panel that could be attached when needed for critical focussing. As can be seen here, it just sits under the bars rather than them clipping into a groove like the film holders. Here we have a Grafmatic attached to the RB Auto Graflex. Although the Grafmatic has grooves in each side the bars don’t reach in that far and it is the lip at the bottom that they clip over that holds the Grafmatic in place. 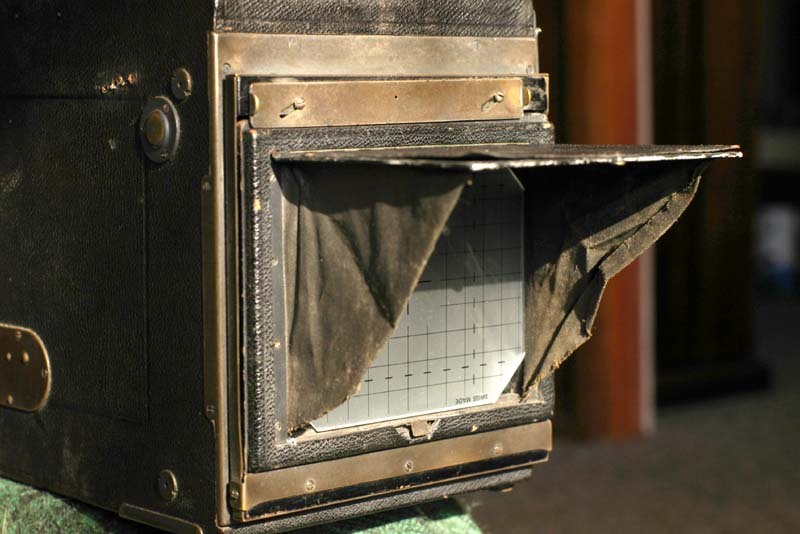 Similarly, the 4×5 Bag Mag has no groove at all, just a lip. This is a view from the other side, showing the way that the ridge on the back sits into the groove in the Grafmatic to form the light trap and help hold it in place.